This Nebraska based band is a perfect anecdote of basement band success. 311 started in Nick Hexum's basement as any other high school band. As the 80s were wrapping up, they emerged in the local scene as a noteworthy alternative rock and reggae band. The band started with Chad Sexton, Jim Watson and Aaron Wills aka P-Nut . Their initial attempts in the music ended up in bootleg circles. The music was high pitched and guitar strumming sounded scratchy due to low quality recording. This kind of reaction didn’t dampen their spirits at all rather prompted them to experiment more. With your 311 tickets you can get a taste of their music at the upcoming concert. 311 can thank their lucky stars now for not quitting as they have gradually risen to become the artists with international acclaim. They have sold more than 8.5 million copies till date and the number is still ticking. Their latest album " Universal Pulse " is expected to create a buzz in the rock world. The "sonic crispness" and "Bob Rock’s immaculate production" ( Allmusic ) is likely to do the trick. The band 311 is on a tour promoting their new album. The album singles "Count Me In" and "Sunset in July" are getting quite popular in the local music circles. The album has been on #1 position at the US Billboard Independent Albums and is among the top ten albums in U.S. Billboard 200. 311 has completed two decades in the music world and has transcended the conventional rock music norms to create an individual space for themselves. The music critics find it hard to categorize them as their rock music is wide ranging from Alternative to reggae, rap to funk and hard rock to ska punk. Their most successful music experiment has been a combination of alt metal and metal rap in their eponymous album. The album "311", released in 1996, has been their biggest success till date. It has been a multiplatinum hit and is their first ever album to be on the top position at the US Billboard charts. Their single "Down" became the leading song of that time on the major US alternative charts including Billboard. The success of the video album " Enlarged to Show Detail" on MTV fueled the rage of 311 making them an international phenomenon. Encouraged by plummeting numbers, a year later "Transistor" was out in the market. The album received rampaging response and was a platinum hit again. The singles like "Beautiful Disaster", "Transistor" and "Prisoner" did well on the charts. Their next couple of albums "Soundsystem" and "From Chaos" was able to maintain their prominence on the charts. However, "Evolver" released in 2003 failed to impress anyone and 311 decided to come with a compilation album of the last decade "Greatest Hits '93-'03" in their efforts to bring back the sizzle. With the release of this album they were once again back in the business selling out thousands of album copies. In 2004, their single "Love Song" reached the top of the US Alt charts. This song was featured in Drew Barrymore and Adam Sandler starrer romantic comedy "50 First Dates". In the same year, their video album "311 Day: Live in New Orleans" did well in term of sales and became RIAA’s platinum certified. The band 311 continues to inspire rock and reggae music fans with their stripped down vocals and powerful acoustics. They have been following their heart by creating music that inspires them. They have been touring heavily all across the country ever since their formation. 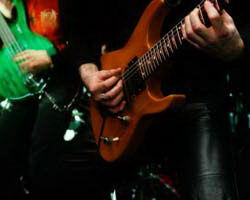 Their live performances are a treat for the rock fans with high voltage jam session. This season the band will taking the center stage again with the best of the past two decades. They will also be performing some of the songs from their brand new album "Universal Pulse". If you are a 311 fan, here is your chance to catch them live. Order your 311 tickets now and get on with some real fun. Q:Are you offering 311 tickets for sale with discount options? A:Yes, the discount offer on 311 Tickets is available till now. Get them as soon as you can. Q:I have lost my 311 tickets, what can be done? A:Sorry to know you have lost your 311 Tickets, however you'll just have to order new ones from our website.